There’s a chill in the air here in Manhattan. The leaves of the London Plane trees are falling and The Pond and The Holiday Shops at Bryant Park are being built (opening November 6th). If you find yourself looking at the park’s webcam and dreaming of ice skating, don’t forget, there’s Halloween to look forward to first! 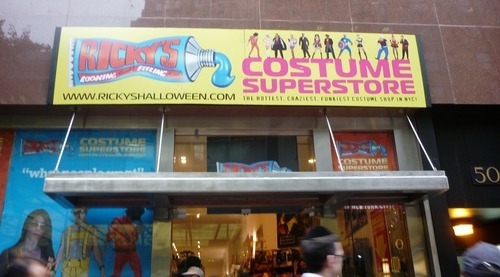 Luckily, if you work in the Bryant Park area, Ricky’s has popped up on 5th Avenue between 42nd and 43rd Streets to fulfill your Halloween costume needs. Ricky’s has a great assortment of full costume packages with the outfit and accessories included. However, if you need the ability to enter and exit your masquerade at a moment’s notice, accessory sets are the way to go. 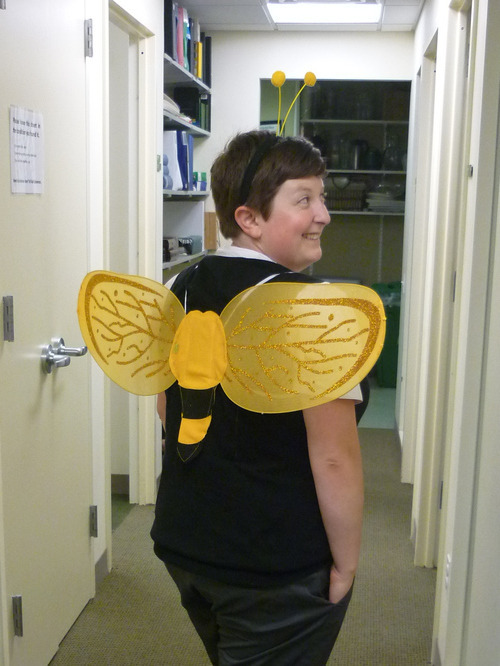 BPC employee Catherine found bee wings and antennae for $12.99 at Ricky’s, the perfect festive accessories to wear at the office on Friday and easy to take off at a moment’s notice for a business meeting. If you’re coming to the park on Saturday, don’t forget to wear your costume to the Halloween party at Le Carrousel.